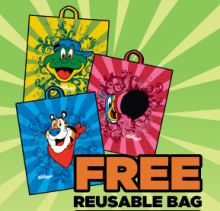 Printable Kellogg’s Coupons Are Back! 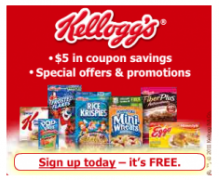 If you haven’t signed up yet for $5-$10 in Kellogg’s coupons I highly recommend you do. Not only are you going to get some really great Kellogg’s coupons instantly, but you’ll keep getting them on a regular basis. These are great, high value coupons that you won’t see in the papers. 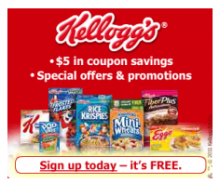 Sign up over at Kellogg’s now to start getting coupons. Head over to Kellogg’s and grab this $1/2 packages of Mother’s Cookies. This is a rare coupon so grab it while it’s available! I have to admit, I love the frosted animal crackers! I’m so glad this offer is back! 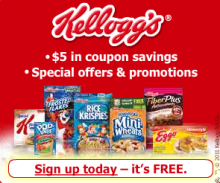 You can sign up to recieve over $10 in coupons, special offers, promotions & more from Kellogg’s! That means new cereal coupons! Since I’ve signed up I’ve actually received some great coupon offers! Don’t forget, you can get a FREE $10 gas card when you buy 5 boxes of participating Kellogg’s cereal. Kellogg’s just released a few new “Breakfast” Coupons. Head over to Kellogg’s to print yours now. Don’t forget, the $15 in Kellogg’s printable coupons are still available!